As a follow up to our “Travel Guide” blog post here is a list of cool travel items, that can make traveling with your family a little easier and fun. The Laugh and Learn Apptivity Cases are amazing! 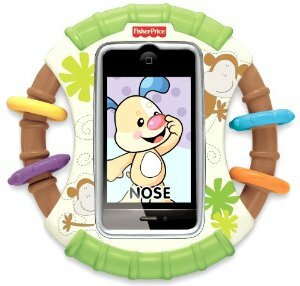 They allow your little one to still play with your iPad or iPhone without it getting ruined by falls, spills or even drool. Some are created so you can make the home button accessible for your older kids or inaccessible to your little tots. You can also download interactive learning games that use the case and iPad/iPhone in sync. The one featured below is an actual case, but there are other versions that are more interactive. The Speck iGuy is another option. This Gumby type case is fun and durable. It can be free standing or the little arms can be used as handles. 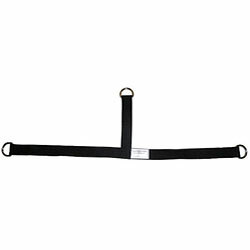 Use this strap to attach a car seat to your rolling, carry-on. It instantly makes a stroller while in the airport. This accessory comes in handy when you need as many free hands as possible while traveling. With this strap you don’t have to lug a car seat and stroller around in the airport. 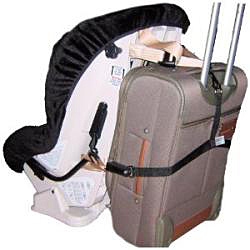 It keeps your child strapped in and close by so you don’t have to worry about him or her getting lost in a busy airport. A portable high chair is great especially if your visiting family and they don’t have one. These two options basically do the same things, they are just designed differently. They both fit around any chair and are lightweight. The first high chair (Baby’s Journey Babysitter, from Target) looks a little sturdier with clips that strap the baby in. The second (Totseat Chair Harness, from Amazon) is more malleable and easy to fit in your luggage. This inflatable booster seat is great for those kids who are too big for a car seat, but not quite big enough to sit just on a normal seat. Bubble Bum inflatable car booster seat is as easy to blow up as a beach ball. It comes in handy when driving once arriving to your location so you don’t have to carry a bulky booster seat. What more needs to be said? You never know when a slip and fall will occur. 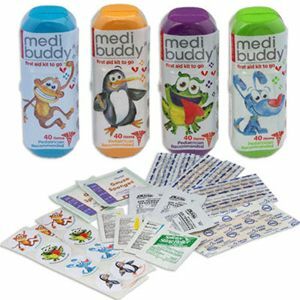 MediBuddy is a cute, compact first aid kit that has all the basic essentials you need for your kids. The Boon Squirt spoon holds the baby food inside of it. All you have to do is fill the spoon with the desired baby food and squeeze it to dispense the food in your babies mouth. This is especially great if you are making your own baby food and don’t buy the squeezable pouches. This leads to the second option, handy, dandy baby food pouches. These are nice because you can just throw the pouch in your diaper bag, and toss it in the trash when you’re done. Child locators (in my opinion) are much better than those leashed backpacks. Maybe it’s because when I was little my mom made me wear one and I am still embarrassed about it. This fancy little gadget has two parts: one part hooks on to your kid and the other part you keep on your key chain. It’s much like your car alarm remote. By pushing the button on your end it will release an alert so you can easily find your child. There are many options for a child locator. 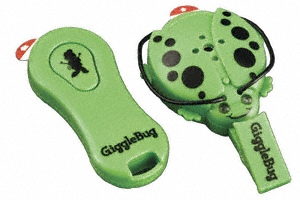 The Giggle Bug Toddler Tracker Locator, featured below, is one of the cheaper versions priced at $12.24. You can click on any of the pictures and it will link you to the item. So check them out and start planning your last vacation before the kids are back in school and the cool months approach.